Welcome to ABC Insurance Services! We offer a wide variety of insurance companies to choose from. That's what makes us ideal for those looking for the best price without the headache of shopping around! Check out some of our partners here. We offer a wide selection to choose from. From auto coverage to home insurance, we can get you exactly what you need when you need it. Read what some of our clients have to say about our service. We specialize in making insurance easy, and our clients agree! Call or email us anytime! We're here to help you. We will find the best price and coverage specifically for you. With our compliment of partners to choose from, there's never a shortage of options to choose from. If you’re looking for high quality and personal service, you’ve come to the right place. At ABC Insurance Services we’ll give you the attention and personal service you’ll come to expect and enjoy. ABC Insurance Services has over 18 years of experience in the personal lines insurance marketplace. Let us put our experience to work for you. "We Make Insurance Easy"
Call 256-686-2039 today to set up an appointment. ABC Insurance Services was founded in August 2011. Our agency motto. "We Make Insurance Easy." Life is complicated enough. Your insurance program shouldn't be. ABC Insurance Services is family-owned and operated right here in Decatur, AL. Other companies may offer similar services, but our services are the best, and come with a personal touch. ABC Insurance is one of the fastest growing independent insurance agencies in North Alabama. LaShae is a life long resident of North Alabama. 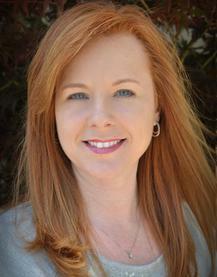 She has over eighteen years of experience in the personal lines insurance marketplace. LaShae resides in Decatur along with her three kitties; Kashmere, Zeppelin, and SanFran. LaShae also has a special interest in photography and in fact has a studio set up in her office suite where she applies her unique ability to "see" a great shot and blend it with green screen technology to create the perfect picture. She is also an avid country music fan and has met many country music artists.